Self-publishing is fast. There’s no more submitting to a publisher or multiple publishers and waiting for (possibly) months for a response. Will they accept your manuscript that you’ve been working on for months, maybe years? Or, will they send you a generic standard rejection letter? Either way, the time waiting for an acceptance or rejection isn’t fun. With self-publishing, as soon as your manuscript is ready to go, it goes. 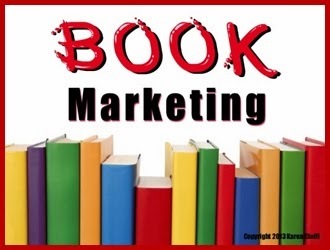 If you do it ‘right,’ self-publishing can be profitable. How to Write Your Own Ebook in 7 Days by Jim Edwards can teach you how. Jim is a 10-year veteran newspaper columnist and author whose reputation for writing and promoting ebooks online is legendary! He has written, created, and sold ‘millions of dollars’ in ebooks and info-products online. And, he has helped thousands of authors. 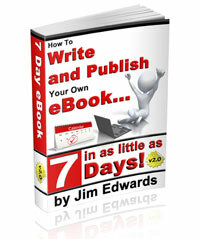 CLICK HERE to learn more and to get your copy of How to Write Your Own Ebook in 7 Days. Get started today!